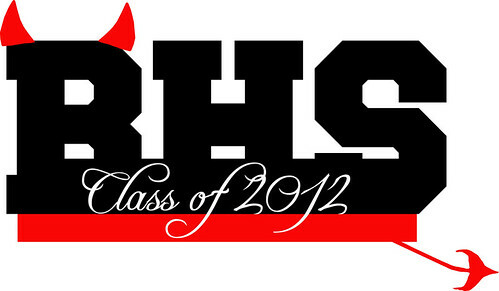 BHS Senior Kelly Howes was presented a check for $50.00 by the After Graduation Party for her logo for the Class of 2012 t-shirts (below) that will be presented to all of our seniors. Kelly is pictured above (second from the right) along with Senior Class Advisors Renee Dacey (far left) and Brighid Boyle (far right). Way to go, Kelly!!! Wonderful job! !